The e-commerce space is nearing market saturation. With so many platforms available, investing in the right one for your business can be a daunting task. 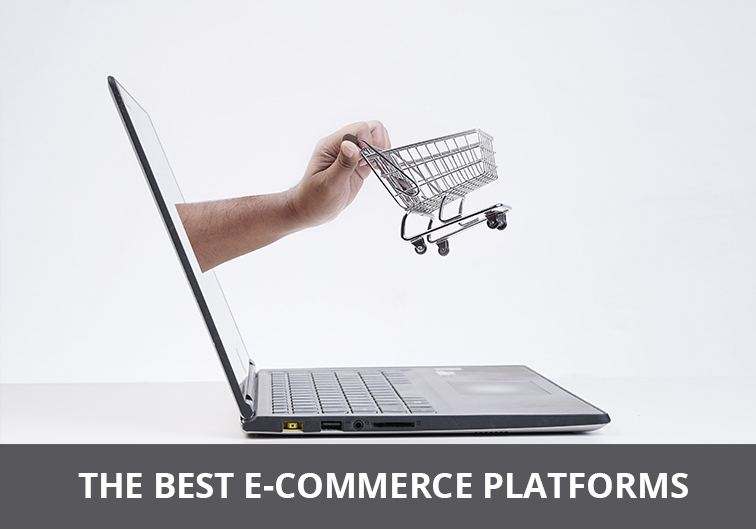 Here’s a guide to help you choose the best e-commerce platform for your needs. Shopify has an easy setup process with mobile responsive themes, fast load times, a versatile dashboard for adding items, customising the site and even importing products from another site. Shopify also helps you connect your online store with your Facebook page, enabling you to sell directly on Facebook. Shopify also offers one of the best 24/7 support networks through chat, email and phone, as well as tutorial videos and the Shopify community forum. BigCommerce is one of the best options for those who have little to no coding knowledge and want a full-fledged store without the hassle of plugins. BigCommerce also offers mobile-responsive themes and fast loading times as well as the ability to integrate your store with Facebook and shopping comparison sites like eBay. It also offers comprehensive support in the form of a setup wizard, educational videos, extensive visual guides and 24/7 support through email and chat. Their phone support has time zone constraints. Magento provides a decent user experience and is flexible and scalable. This strength is also a drawback as Magento’s open-source nature offers endless opportunities for customisation but also makes it quite complicated. Development expertise is a must. It also has an extensive resource library as well as an active online community for store owners. The paid Enterprise version offers 24/7 support as well as targeting features like customer segmentation. Support options are limited. Users have access to a documentation centre for fundamental questions; for technical and pre-sales issues, they have to submit a support ticket or fill in a query form. As a content management system and e-commerce platform, Drupal has enormous scope for customisation and flexibility that comes at the cost of a complex codebase. That’s why you’ll need a skilled developer to set up a Drupal website. On the positive side, Drupal also has extensive online documentation written and maintained by the community, along with forums and online chat. From a blogging platform to a robust site framework with thousands of plugins, the intricate levels of customization offered by WordPress require a team of designers and developers. But it also has a user-friendly dashboard with plugins for nearly everything and seamless upgrades that don’t disrupt the functioning of your store. Free users have access to a support form as well as documentation and tutorials. For more in-depth support, you’ll have to choose the Premium Support Option. Support-wise, users have access to a forum and documentation. By paying $65 towards community sponsorship, you can get access to live chat from 9 AM to 6 PM Central European time. Depending on the payment gateway, all seven platforms work in almost every country and currency with Shopify and BigCommerce coming out on top for the speed and ease of currency customisation based on a visitor’s location. Also, Shopify offers more comprehensive custom reporting on its high-end plans starting at $79 and up. BigCommerce offers comprehensive analytics functionality on most of its plans, including search data reports, financial reports and customer reports. It also provides a slew of leading software integrations for business intelligence, marketing analytics and site analytics including WebLink, Sumall, GreyFerret, MonkeyData and Glew Analytics. Magento Business Intelligence is less of an analytics tool and more of a data consolidation tool, allowing merchants to connect data streams from 3rd-party sources like Google Adwords, Quickbooks, Facebook Ads and even other e-commerce platforms like Shopify. Some of their custom reports use the power of predictive data to increase returns. For example, predictive buy date reports that use a customer’s purchase history to predict when their purchase will be, and predictive customer value which helps you allocate and spend wisely by suggesting customers to target based on purchase history. There are subtle differences between WooCommerce Google Analytics free versus paid versions. The paid version comes with helpful features like checkout behaviour analysis, selective access rights according to user levels, buyer ID tracking, customer behaviour tracking and purchase patterns. Open source platforms like WooCommerce, Drupal, WordPress and OsCommerce do not have inbuilt analytics functionalities of their own. They instead rely on Google Analytics add-ons to provide merchants with store performance data. The right e-commerce platform combines the robust presence of a physical store with vast scope for creativity, customisation, scalability and expansion, as well as allowing you to get detailed insight on your customers and boosting your brand online.